In the month of love, the Service Committee would like to spotlight the guide for the Warm Beginnings Infant Clothing Drive! Help support newborns by asking passer buyers at malls or in front of baby stores for infant clothing donations. This event will help bring your club members together and strengthen your ties with your local community. 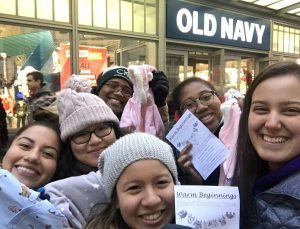 Check out the links that will guide you through setting up and executing a Warm Beginnings Infant Clothing Drive!